At first glance, Speedify looks like an innovative company with an eloquent design language. We did some more digging and here’s our findings… including a DNS leak. 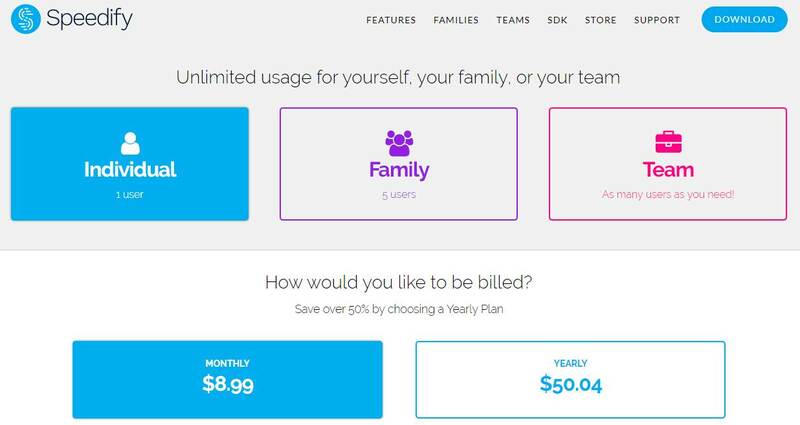 Speedify was launched back in 2014 by Connectify, a Philadelphia-based company. While it’s done well in this short amount of time and has gained traction, can it truly be called a VPN? Many critics are quick to say that Speedify is more a proxy than anything else. Want to know how it all works? They offer an explanation on their website, but let us first share our findings. What we care about is how they stack up against other traditional VPNs – can they compete with the best? Let’s find out. Despite Speedify only being a few years old, they have amassed well over 1,000 servers operating throughout 28 countries. That’s an impressive figure, despite their short life-span as a VPN. These servers are all pretty robust and the list is constantly growing. Great news for people who want a consistently reliable experience! Speed and Performance: Respectable speeds! Our download speeds are 250Mbps, typically averaging a speed of 230Mbps, even during peak times. We tested the speeds of Speedify when connected to their New York server. Here are the results for the Speedify server based in New York, USA. Whilst these are respectable results, there are VPNs out there which have given us close to our average normal speed of 230Mbps. Still, respectable speeds nonetheless. Kill Switch: Yup, they have one! As an extra layer of protection, Speedify includes a kill switch as standard. A kill switch stops your real IP address being revealed should your connection to the Speedify service drop or switch to a different server. Whilst your IP is only revealed for a fraction of a second during a switching or dropping process, that’s more than enough time for somebody watching or tracking you to figure out who you are. A VPN without a kill switch should always be a no-go, so, frankly, it’s great news that Speedify uses one. Speedify has acknowledged that torrenting isn’t allowed on the service “officially,” but there are servers available for P2P and torrenting, and there’s an option within the interface which will automatically connect you to a P2P-friendly server. We’re guessing they mean illegal torrenting isn’t supported, but yes – you can torrent! For VPNs with more torrent support, check out our top VPN list for torrenting. Refund Policy: 30 days risk-free! Yep, Speedify offers the ability to get your money back within 30 days if you’re not happy with the service – awesome! 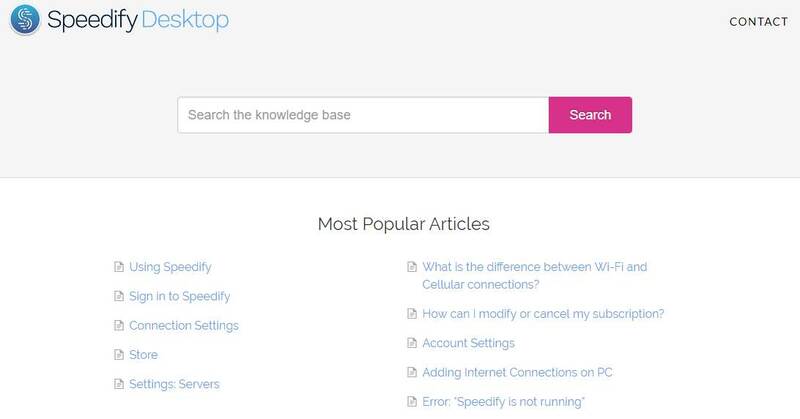 Speedify has a lightweight desktop application that’s intuitive and simple to use. Connecting to a server is simply a matter of clicking the mouse a few times and carrying on with what you were doing. There are additional configuration options available for those who want to use them. Speedify offers customer support through social media and email, and there’s an extensive knowledge base that can be used for queries prior to opening a support ticket. There is no live chat functionality, but their email response time is very quick. The support team only takes a few hours to get back to queries, even on weekends, and the support team is knowledgeable enough to answer technical questions. In addition to fantastic customer support, Speedify has an extensive knowledge base which covers the basics and then some. Most questions and queries are covered here, with well over 100 topics covered. There are lots of different options for buying Speedify, with different price points available for individuals and teams. Their monthly price of $8.99 is a typical monthly price in the industry, but if you buy an annual subscription you save over 50% which comes out to $4.17 per month. We think that’s a pretty decent saving. If you are serious about your VPN usage you can also buy a dedicated server for an additional $120 per month. Prices are slightly higher in Euro and GBP. Speedify offers all the usual payment methods such as major credit and debit providers, PayPal and Amazon Pay. Right now, there is no support for cash or cryptocurrency (anonymous) payments. A shame, as we’d have liked to see crypto payments supported. Speedify currently works with Windows, MacOS, Android and iOS devices. There is no support for Linux, but the company has hinted that this is around the corner. Speedify also cannot be used on consoles or smart devices at present. You can work around this by sharing connections, though. This is quite technical, but guides are available online. One of the most common reasons people turn to VPNs is so that they can access geo-blocked Netflix content. Once upon a time, this was a simple feat—you could use virtually any VPN to access Netflix. The company started to get wise though and started blocking VPNs and proxies due to licensing considerations. Unfortunately, Netflix is currently winning the battle. Speedify isn’t one of the VPNs that offer Netflix access, we’re afraid. You can’t stream media while connected. But there are plenty of Netflix-friendly alternatives here. Whilst they claim to use this information for performance improvements, there is no way to know for sure. Additionally, when you contact customer support you are asked to enter personal information such as your name, email address, phone number, and credit card details. Speedify prefers to use a ChaCha-based encryption but can handle AES if your device can handle it. ChaCha, allegedly, is much stronger and more difficult to crack than the industry standard AES-256 used by virtually all other VPNs on the market. DNS and IP Leak Tests: DNS Leaks Were Found… Uh-oh. A DNS leak is when your browsing data and habits are revealed despite being connected to a VPN service. This should, in theory, absolutely never happen, but it’s more common than you think. When we ran Speedify through several trusted VPN leakage testing services, dnsleak.com found one. This is troubling information that suggests that you aren’t 100% safe when using Speedify. What’s the point of doing things different if it’s broken? Sorry Speedify, we know you’re trying… but you’ve got to do better! Speedify belongs to Connectify, Inc., a software company that launched its first product in 2009. The company specializes in network connections. Their flagship product is Connectify Hotspot. Its CEO is Alex Gizis, a developer based in Philadelphia. Connectify is based in Philadelphia, PA, which means they are under the FVEY jurisdiction. This fact, along with DNS leaks makes the privacy freak in us a little uncomfortable. Speedify VPN Conclusion: Don’t want DNS leaks? Then skip! 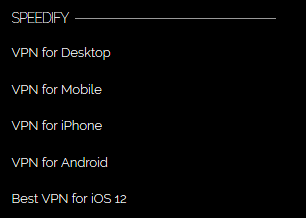 So far as VPNs go, Speedify does tick quite a few boxes. It’s easy to use, offers military-grade encryption, customer support is fast, and there are thousands of servers to choose from, with more on the way. Holding it back, however, is the fact that you can’t use Netflix. Speedify further let us down because, during our tests, the service demonstrated a DNS leak – a huge red flag. This means despite the strong custom encryption, you can’t 100% trust Speedify to keep you safe. That being said, if Speedify can iron out these issues, they would be considered a solid candidate for a VPN. Until that time, it’s probably safer to check out our top 10 recommendations for VPNs. - Based in the U.S.